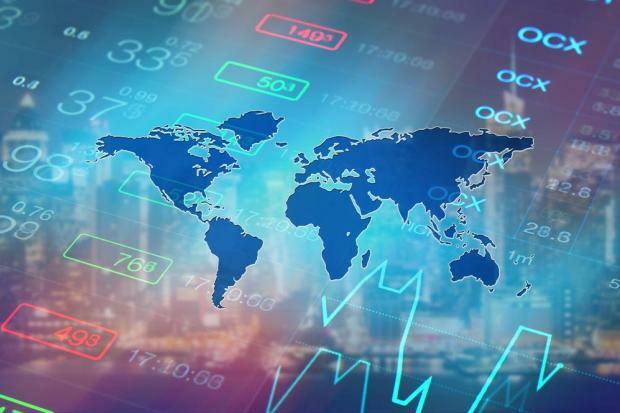 Recently, 40 major economies were analysed based on inflation and GDP growth, the signs all point to Asia in terms of driving the global economy in 2019. Predominantly located in Asia and making up more than half of the world's GDP growth in 2019, high-growth economies include Indonesia, India, Malaysia, The Philippines, China, Turkey and Ireland. In the middle of the ongoing trade war with the US, which is likely to have a significant impact on the Chinese economy, the government has initiated a number of steps for sustaining the resilience of the economy. The National Development and Reform Commission (NDRC) has calmed its restriction on large-scale investments by local government in May 2018, and in October 2018, the People's Bank of China increased the refinancing and rediscounting allocation by CNY150 billion to support small and micro enterprises. Even though the Indian economy is anticipated to grow at a marginally slower pace in 2019, it is still expected to be one of the fastest-growing economies in the world. A number of risks stem for the Indian economy in the form of rising political uncertainty, weakening currency, adverse terms of trade and a slowdown in major trading partners economy. In the meantime, structural reforms and higher investments are expected to drive the economic activity over the medium term. In addition to, Ireland is expected to continue to grow at a robust pace in 2019 due to solid growth in employment, strong domestic demand and higher investment in the construction sector. The economies that seem to be the likely candidates for only moderate economic growth in 2019 are European, North American and Middle Eastern economies. The drive in economic growth in the US will continue to increase due to the rise in household consumption and expenditure, increased wages along with strong business sentiment under-propped by reduction in corporate tax rate. That being said, it is forecasted that the growth rate will slow down marginally from 2.9% in 2018 to 2.7% in 2019 due to the fading of the fiscal stimulus and tighter financial conditions. Lower industrial production due to the introduction of new emission standards, passive foreign demand and weak private consumption expenditure are expected to keep the German economic growth rate modest in 2019. Very uncertain outcomes of the Brexit deal are expected to keep the economic growth rate of the UK below the last five years' average over the next year unless it is resolved. On another note, Asian economies such as Singapore, Hong Kong and South Korea, which are highly correlated to fluctuations in global trade, are expected to slow down on the cowed trade outlook for 2019 on the back of protective policies of major economies. The economic growth rate in Japan is estimated to remain unchanged in 2019 over 2018. However, it is anticipated to be below the last two years' average of 1.6 percent due to the fallout from China’s slowdown, a planned consumption tax hike from October 2019 and persistent natural disasters. Should the Trade war be resolved (all signs are pointing to this), Japan should take a boost. Markets have seen the Russian and Brazilian economies decline in 2015 and 2016, owing to the fall in global commodity prices. However, following a recovery of commodity prices from 2017 onwards, they posted a marginal growth rate in 2018. It is still estimated that these two economies will see a low-growth in 2019 – Brazil due to its pension reforms that the President has promised to accomplish and Russia due to the sanctions being imposed on it that is hindering growth. It is to no surprise that the Italian economy is also a contender to being a low-growth economy; it has underperformed in recent years, posting an average growth rate of around 1 percent for the period the last four years and this rate is expected to stay at around the same level in 2019. The Iranian economy was in recession with a very high level of inflation in 2018 following the sanctions imposed by the US. The situation is expected to deteriorate further in 2019. Similarly, Argentina and Nigeria have faced high inflation over the last five years, holding back their GDP performance significantly; the situation doesn’t seem that it will be resolved any time soon. Disclaimer: This article was issued by Maria Fenech, investment manager support officer at Calamatta Cuschieri. For more information visit, www.cc.com.mt . The information, view and opinions provided in this article are being provided solely for educational and informational purposes and should not be construed as investment advice, advice concerning particular investments or investment decisions, or tax or legal advice.